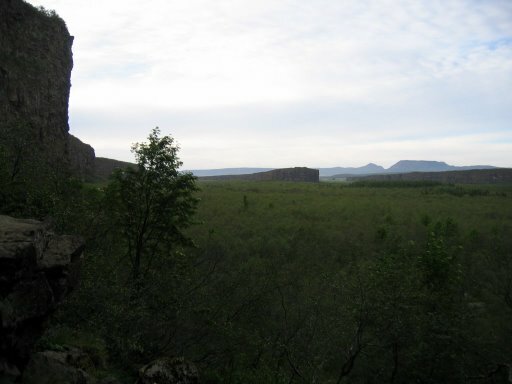 Asbyrgi is an extraordinary oasis in the rocky wasteland of Jökulsárgljúfur. It is said to be the mark of the hoof of Óðinn's horse, Sleipnir. 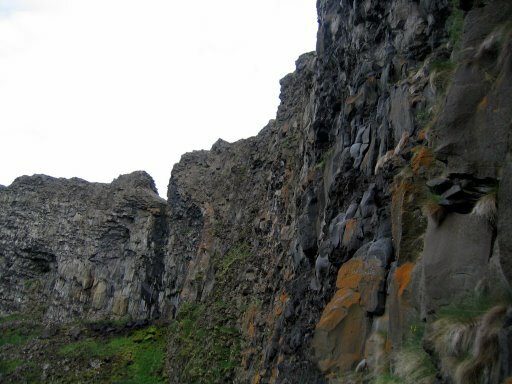 Indeed, the cliffs form a hoof-shaped protection for the area. 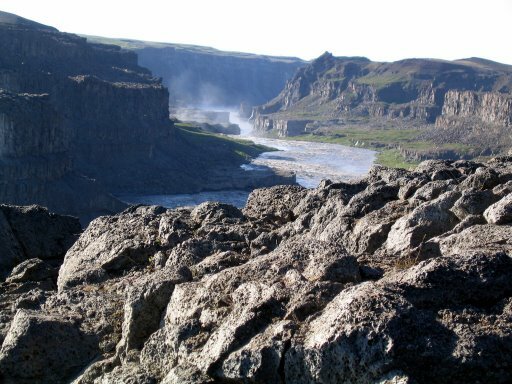 The river Jökulsá is a muddy, milky torrent breaking its way through the rock. 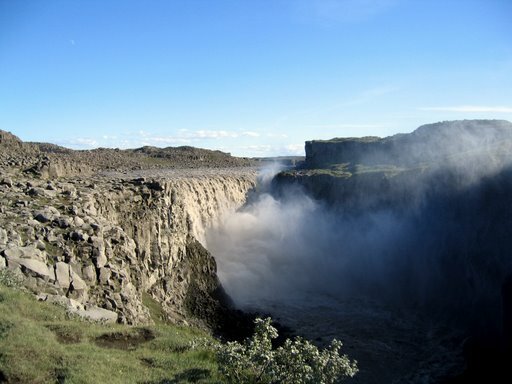 On your way to Ásbyrgi, you will pass the monumental Dettifoss. The grey river winds its way through the canyon. 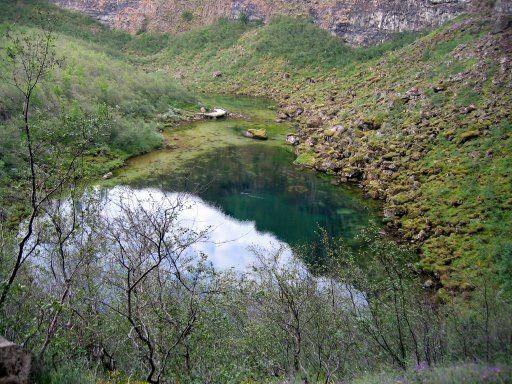 A clear and peaceful pond in Asbyrgi, the absolute opposite of the muddy torrent of Jökulsá. 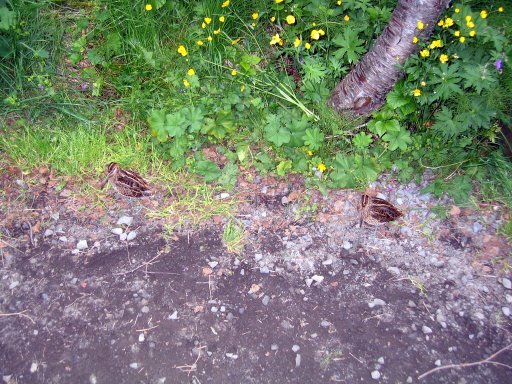 The walls of the hoof-mark. There are several bird species in this natural wonderland. They are remarkably easy to observe, as they do not seem to be scared of humans. 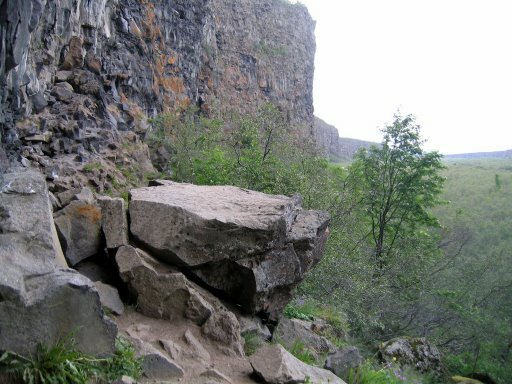 Bare cliffs and lush vegetation. These pictures were taken close to midnight on a beautiful summer evening. 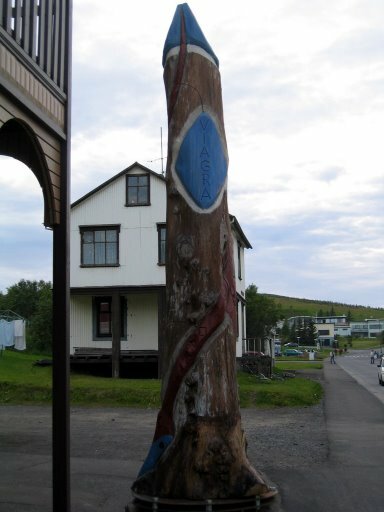 On your way from Asbyrgi, you might want to go through Húsavík, where the unique phallology museum is in residence. 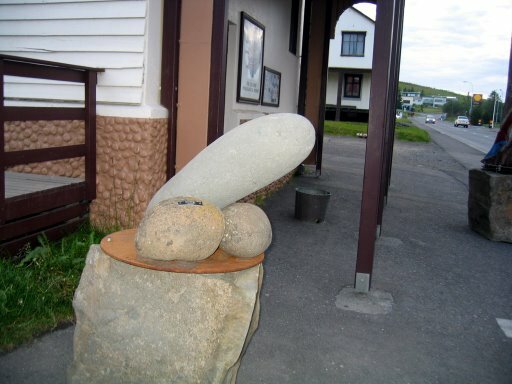 It features the penises of every known species of mammals in Iceland and elsewhere, together with those of elves, trolls and other extraordinary creatures. There is no human organ exposed as yet, but several males of the species have made a legation of their pride to the museum.